Siesta Key and Sarasota are home to some extraordinary waterfront bars and restaurants that offer attentive service, incredible ocean views and of course delicious expertly prepared food. 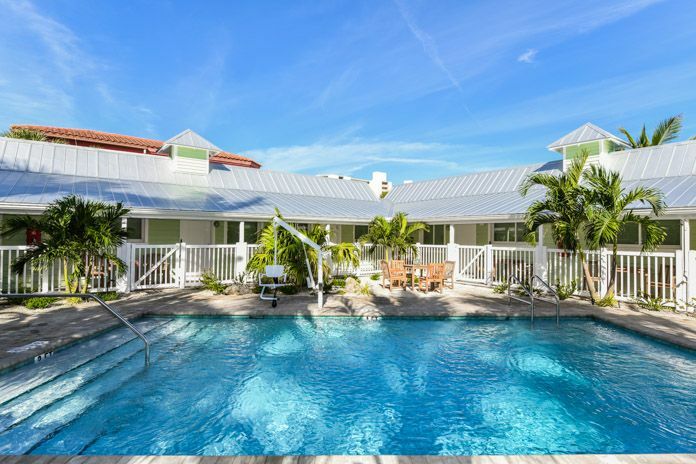 Some of the top options on Siesta Key are located toward the south end of the island, while a few other excellent options are right off the island. The restaurants are an attraction all there own in Siesta Key Village. If you are looking for an upscale setting with incredible views of the Little Sarasota Bay, check out Ophelia’s on the Bay. Located on the far south end of Siesta Key at 9105 Midnight Pass Road, Ophelia’s on the Bay is considered one of the best restaurants in Florida and offers a select menu of expertly prepared appetizers, salads and entrees. The restaurant offers both surf and turf signature dishes that frequently rotate and feature creative chef inspired twists on traditional recipes. With their commitment to culinary excellence you really can’t go wrong with any of the menu items. Seafood entrees include crab, lobster, mussel, oyster, tuna, shrimp, grouper, scallop, salmon and other fish dishes as well as duck, beef steak, foie gras and lamb dishes. Turtles Restaurant is located near Ophelia’s on the Bay but offers a much more informal setting and a more affordable American themed menu with beautiful views of the bay as well. Here you will find a very large menu with several specials available including early bird dinner specials between 3 and 6 p.m. and Sunday brunch specials between 10 and 3 p.m. Choose from dozens of entrees, salads, sandwiches and platters that feature scallops, shrimp, lobster, steak, pork, chicken, tuna, Mahi-Mahi, salmon, grouper, mussels, oysters, calamari, and crab. Turtles also offers a large drink menu with a nice selection of draft beers, wines and specialty cocktails . Happy hour drink deals are from 3 to 6 p.m. every day, so stop in during this time and relax on their outdoor deck with a cheap drink and take in the sun and view. The Boatyard Waterfront Bar and Grill is located right off Siesta Key at 1500 Stickney Point Road and offers a unique combination of elegance and casualness. The outdoor seating area at the Boatyard is where you can get some amazing views of the Sarasota Bay along with live music to keep you entertained. The Boatyard offers a large menu of local seafood delicacies such as the catch of the day, grouper, Atlantic salmon, shrimp, mussels, oysters, flounder, Mahi Mahi, trout, crab as well as several options for those who prefer land fare such as burgers, steaks, chicken, and ribs. Just a few minutes away from the Stickney Point Bridge at 7660 S. Tamiami Trail (US-41) you can find the Waterfront Restaurant, another premier oceanfront dining option. This restaurant is open every day of the week including holidays with a variety of daily specials and a menu of select, high quality steak and seafood dishes. The Waterfront Restaurant offers a small selection of surf or turf entrees including tuna, steak, chicken, baby back ribs, duck, shrimp, the catch of the day, shrimp, tuna and escargot. 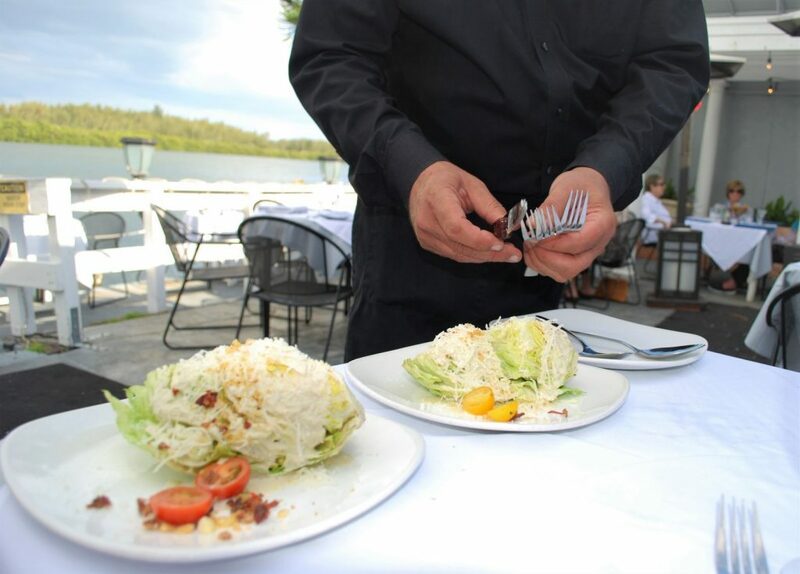 Offering a cozy upscale atmosphere and reasonable prices, the Waterfront is a top choice in the Sarasota area for expertly prepared chargrilled meat and seafood dishes. If you have any questions at all about the waterfront dining options on or near Siesta Key or would like to book accommodations for your next trip here, be sure to give us a call at (941)-349-1125 today!